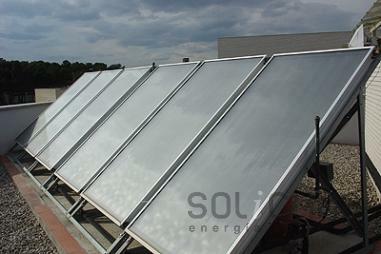 Increasingly, a larger number of apartment buildings use solar energy to produce hot water. Until recently, it wasn´t hardly used, but, the coming into effect of the Technical Building Code of 2006, introduced by law, the use of this resource in any new building. Any building constructed after 2006 must, by law, include a solar water heating system. In addition, there are subsidies for older buildings that choose to install this type of system. Solar hot water, heating, swimming pool climatization; household heating with heat pump and radiant floor in Sunnyvale, California. 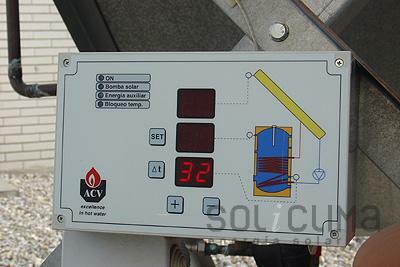 Soliclima doesn´t just install renewable energy systems. Solar energy for hot water and heated swimming pools in Lancaster, California. 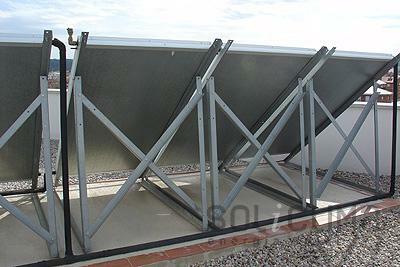 The differences between module, collector, concentrator, plate and solar panel. At the same time, there are subsidies for solar installations in apartment complexes that were built before this building code was implemented. These facilities offer two options. A large single accumulator that can be installed for the whole apartment building or a small one that can be placed in every apartment, thus, giving each neighbor, the ability to control its own spending. Solar energy has many advantages: big savings of both, fuel and CO2 emissions are the most obvious, but, the fact that they use local energy -renewable energies always are local- make the country more independent from others, as far as supply and prices is concerned . Solar energy can also be used to produce heat, but, we recommend such use only in single family homes, since the amount of panels needed for a multi building would be too high and there wouldn´t be enough space on the roof.